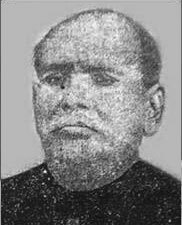 The brave son of Ballia Shree Chittu Pandey was born on 10th may 1865 in Rattuchak (Baina) village which is 6 kms away from Sagarpali Railway station in distt. Ballia (U.P). His father name was Sri Ram Narayan Pandey. He was born in an ordinary farmer family. He was keen to make his native land free since his childhood. He was Hero of 1942 revolution in Ballia district. He lead the Quit India Movement in Ballia " on 19th Aug. 1942. He proclaimed as first collector of free Ballia.